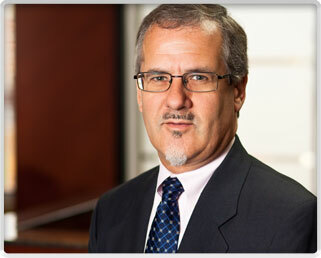 Roger Herman is a Member of the Firm’s Real Estate Practice Group and a Member of the Firm’s Management Committee. His practice focuses primarily on commercial real estate transactions. He also has substantial experience in General Business Law. Mr. Herman is experienced in Historic Tax Credit Transactions, New Markets Tax Credit Financing, §1031 Exchange Transactions, Easements, Subdivision and Townhome Indentures and Declarations, Residential Condominium Development, Sale and Leaseback Transactions, Triple-Net Leases and Ground Leases. Represented Nonprofit Lending Institution in making loans to hundreds of non-profit organizations throughout the State of Missouri, to provide long-term stable financing for the nonprofit borrowers, and to assist the nonprofit borrowers in developing and expanding non-profit facilities and services. Represented redevelopers of mixed use historic downtown buildings in creating master condominium structures to enable separate ownership, financing, development, sale, lease and operation of the separate portions of the buildings. Represented redeveloper of mixed use historic downtown building in creating mixed-use retail development, including negotiating the leases with the tenants of the development. Represented numerous buyers and sellers of Triple-Net Leased Properties throughout the United States.